Electrician in Brighton and Hove? Fully insured, qualified, and approved. We are the Bright Sparks. Call us now for competitive local rates. Our family run business has over 35 years of Electrical experience. Call us today for a free no-obligation quote and advice. 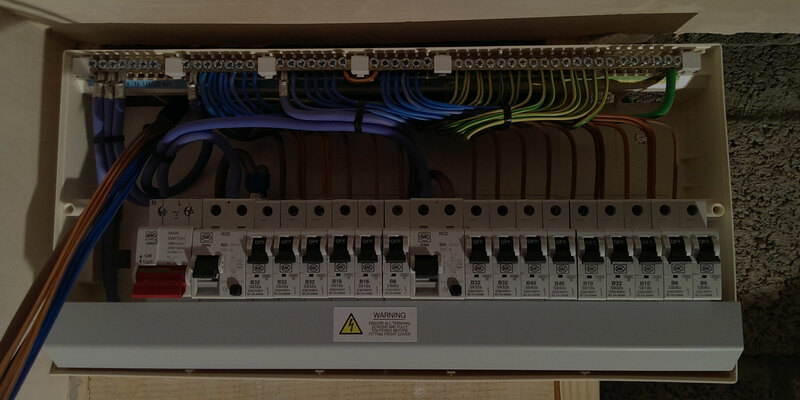 Domestic, Commercial and Industrial Electrical services in Brighton and Hove. We provide a call out service within Brighton, and surrounding areas. 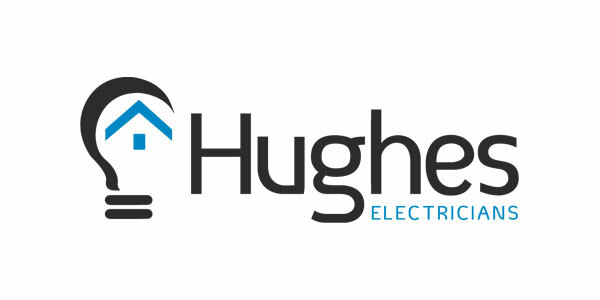 Hughes Electricians is a local Father and Son family business with over 35 years of experience within the Electrical industry, covering domestic work to complex industrial machinery and maintenance. We offer the most competitive local rates in Brighton, Hove, and surrounding areas. 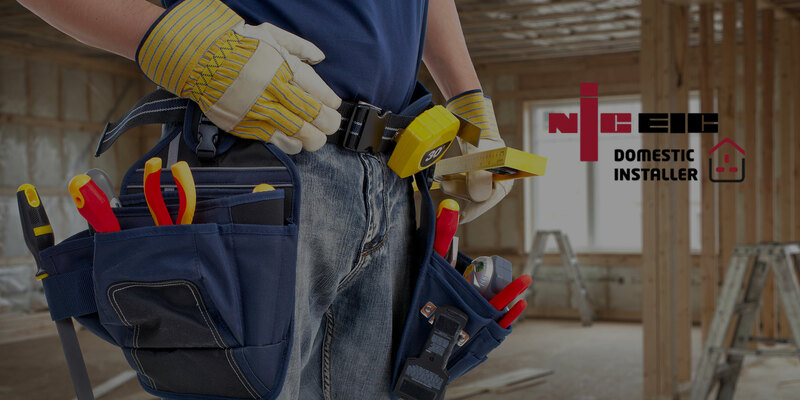 Fully qualified and insured, and a full member of the NICEIC - the largest and most reputable regulatory body in the Electrical contracting industry. 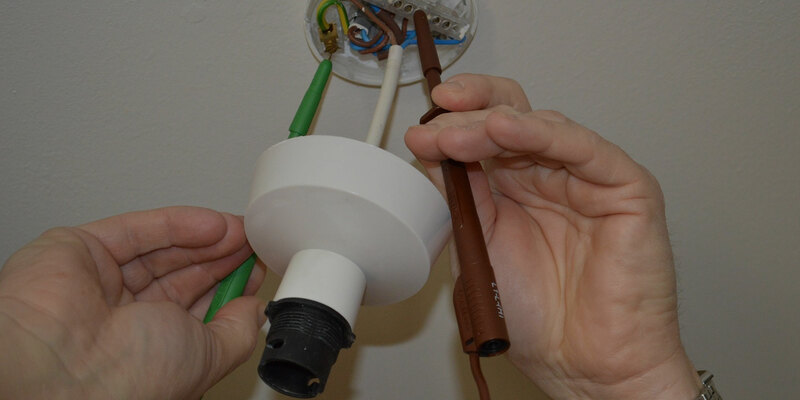 No job is too small, we can fit a simple light switch or complete full re-wires. We are committed to providing the highest quality of service to you - the customer. Affordable and reliable - and Electrical company you can trust! Domestic, Commercial and Industrial Electrical services within Brighton, Hove, and surrounding areas. Professional, reliable and quality electrical work. View our testimonials. "Richard & his team installed power to my detached garage, so I could use as an office & also for power to heat my above ground swimming pool in summer. The did a very effective job, which was completed on schedule & with little fuss. 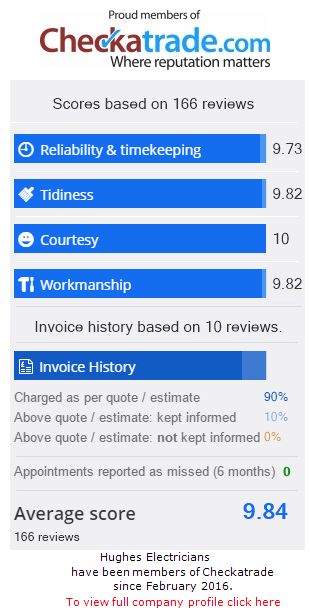 The guys were very polite, professional & reasonably priced & I wouldn't hesitate to recommend." "After buying some new lights for our living/dining room we called Hughes Electricians to replace our existing lighting with the new fittings. Great service. Would definitely recommend. " "One of my sockets wasn't working. Used Hughes Electricians, they diagnosed & fixed the fault quickly. " "Replaced dimmer switch in kitchen. Thanks! " "I called Hughes Electricians to take my consumer unit off the wall and temporarily put it on some timber as I was having damp course work done. They turned up on time and got on with the job and were finished by lunchtime. After I had the damp course done I called Hughes Electricians to come back and put the unit back on the wall. I was really happy with the work and they tidied up all the cables and was left in a better state than it was before. Would definitely recommend this company to anyone needing electrical work done." "Great job installing lights and sockets in home studio. Def recommend, many thanks." "We needed to have a new shower pump wired in for our bathroom. The shower pump needed to be connected to a switch so that we could control it. Hughes Electricians installed the pump and it works perfectly. Thanks! " "I called Hughes Electricians to get some lighting installed in my loft. The guys installed the lights efficiently and now I have light in my loft."